Razer is the world’s leading lifestyle brand for gamers. Blizzard is the creator of the popular Overwatch video game. The two companies have partnered in order to create gaming peripherals based on D.Va, a character from Overwatch. The Razer Abyssus Elite is a mouse that comes with true 7,200 DPI and tracking at 220 inches per second (IPS) as well as an acceleration of 30 G. Users can switch between left and right handed button configurations. The mouse has 3 hyper response buttons and an exclusive D.Va design. It is available now, and priced at US $59.99. 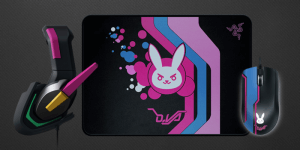 The Razer Goliathus is a mousepad that has an exclusive D.Va design. The mousepad weave is pulled taut to create a slick and seamless surface that enables the D.Va Razer Abyssus Elite to glide over it quickly with zero hinderance. It is a soft cloth design that maintains its flatness no matter how many times it is rolled up and unrolled. It is available now, and priced at $19.99. There is also a D.Va Razer Meka Headset (which is listed on the Razer website as “coming soon”). It is an iconic headset that resembles the one that the D.Va Overwatch character wears in-game. Among the many things announced at BlizzCon 2017 is the addition of a new character to Overwatch. Moira is not in the game just yet, but will be added “soon”. It is not clear exactly when she will become a playable character in Overwatch. Moira O’Deorain is a geneticist who started out in Blackwatch (Overwatch’s covert ops division). Things didn’t work out so well, and she later joined Talon. This means Moira switched from being part of the “good guys” to being part of the “bad guys”. The entertainment.ie wrote an article titled “Overwatch gets its first Irish character.” They point out that Moira’s base of operations is listed as: Dublin, Ireland; Oasis, Iraq. The same article states that Moira is voiced by Genevieve O’Reiily, who was born in Ireland. She played Mon Mothma in Rogue One: A Star Wars Story. Moira is a support character. She has biotic abilities that enable her to contribute to healing, or to damage, as needed. Her Biotic Grasp is a short-range ability she can use to heal allies that are in front of her. Or, she can use it to fire a long-range beam weapon that saps enemies health and replenishes her biotic energy. Her Biotic Orbs are a longer-range option. She can launch a rebounding biotic sphere. It can be used either to heal the allies that run through it, or if it will have a decay effect that damages enemies. 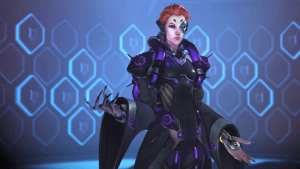 Moira also has a Fade ability that allows her to quickly teleport a short distance, and a Coalescence long-range beam that both heals allies and bypasses barriers to damage her enemies. The newest expansion for Hearthstone, Blizzard’s popular online card game, was announced at BlizzCon 2017. It is called Kobolds & Catacombs. The expansion can be preordered now for $49.99. The exact release date is unclear, but it will be sometime in December of this year. Glorious, glorious loot is a huge part of the Kobolds & Catacombs story. Join us as we discover the troves of tempting treasures that Kobolds & Catacombs holds in store for you when it arrives in December. Players who log into Hearthstone after Kobolds & Catacombs has been released will be granted one random Legendary weapon for free. Each Legendary weapon has its own flavor and unique power that reflects the class it connects to. All nine classes can seek out their own Legendary weapons. There will be Unidentified Item cards that, when used, have the potential to turn into one of four varieties of the original card. The example given on the Blizzard website is a card called Unidentified Elixir. When used, it could turn into an Elixir of Life, or an Elixir of Fire, or an Elixir of Shadows, or an Elixir of Hope. A Spellstone has been created for each of the nine classes. Heroes that add Spellstones to their deck can “awaken them from slumber”. Each one has a unique key. For example, the Spellstone might be empowered by gaining armor, casting spells, or overloading mana crystals. In short, this is a card that a player can make more powerful. Blizzard announced the newest World of Warcraft expansion during BlizzCon 2017. It is called World of Warcraft: Battle For Azeroth. 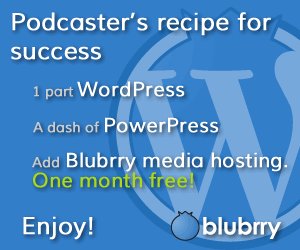 The beta test is coming soon, and you can opt-in to it now if you are interested in being selected to participate. It is very clear that this expansion is very much focused on the ongoing battle between the Horde and the Alliance. The tagline for the expansion is “Declare Your Allegiance”. Azeroth paid a terrible price to end the apocalyptic march of the Legion’s crusade – but even as the world’s wounds are tended, it is the shattered trust between the Alliance and the Horde that may prove hardest to mend. As this age-old conflict reignites, join your allies and champion your faction’s cause – Azeroth’s future will be forged in the fires of war. Players can earn the respect of six playable Allied Races. Doing so will unlock the ability for a player to create new prestige characters of that race. After an Allied Race is recruited, players can rediscover Azeroth through a revamped level experience that features zones that scale as your character grows in power. Complete the full leveling experience to earn a distinctive Heritage Armor set. Kul Tiras is the seafaring kingdom that is home to Jaina Proudmoore. It is the new continent for the Alliance. Players can “untangle a web of betrayal and dark magic” as they explore new zones, fight sea pirates, and more. Zandalar is the new continent for the Horde. It is a troll dominated territory. Players can encounter battle crazed blood-troll worshippers, gargantuan dinosaurs, and titan constructs. It includes new zones, including Zuldazar, the oldest city in Azeroth. Players can battle in groups of three and race against enemy players (or rival intruders) to collect the resources on an island. There will be “constantly evolving challenges”. Players can take part in a large-scale, 20-player cooperative Warfront to claim a key strategic location. Build up your factions forces, lay siege to the objective, and battle enemy commanders. This is a PVE mode of the game that was inspired by Warcraft RTS battles. Blizzard announced that StarCraft II is going free-to-play beginning on November 14, 2017. They explain that when they say free-to-play – they really mean it. Starting on November 14, you’ll have free access to the original Wings of Liberty single-player campaign and every Co-Op Commander, and will be able to unlock access to StarCraft II’s competitive multiplayer content for free. Experience the original epic campaign that kicked off the StarCraft II saga! If you picked up Wings of Liberty previously but haven’t come back to StarCraft II in a while, you will receive the second installment in StarCraft II’s campaign, the zerg-focused Heart of the Swarm for free. To claim it, you need to log in between November 8 and December 8, 2017. Compete with other players to become the best, complete with all the multiplayer units from Wings of Liberty, Heart of the Swarm, and Legacy of the Void. To unlock it permanently, you need to earn 10 First Wins of the Day in Unranked or Versus A.I. Play. These are available to play for free up to level five, and the level restriction for weekly mutations have been removed. The Co-op Commanders Raynor, Kerrigan, and Artanis will remain completely free, meaning that you can keep leveling them to your heart’s content. In other words, you will soon be able to play all of StarCraft II’s multiplayer, every Co-op Commander, and the entire first campaign in the single-player story, for free. Overwatch is already an incredibly popular game, despite the fact that it hasn’t even been released yet. The open beta has ended, and there are many players who are anxiously awaiting their opportunity to play Overwatch (after the game is released). Hopefully, they will be smart enough to play the game without cheating, because Blizzard will be banning cheaters in Overwatch. The open beta for Overwatch recently ended. A total of 9.7 million players participated. The game can be played on XBox One, PS4, or PC. (Overwatch cannot be played on a Mac – which is disappointing, but not unusual when you consider how many video games aren’t Mac compatible). Overwatch will be released on May 24, 2016, and is available for pre-purchase now. In an official post on the Overwatch website, Community Manager Lylirra (Stephanie Johnson) made it clear that Blizzard will not tolerate cheating in Overwatch. We’ve always taken cheating in Blizzard games very seriously, and that stance is no different for Overwatch. “Play nice; play fair” is one of our core values as a company, and its something we’ve taken to heart not only when designing the game, but also as we’ve developed our plans to support it and our players after launch. What does this mean for Overwatch? If a player is found to be cheating – or using hacks, bots, or third-party software that provides any sort of unfair advantage – that player will be permanently banned from the game. Full stop. The same post gives honest players some ways to report cheaters. Overwatch will have an option “to report players for potential cheating” directly through the game client. In addition, players who believe that another player is cheating, or who have “information pertaining to the use of hacks, bots, or unauthorized third-party software in Overwatch” can contact hacks@blizzard.com and make a report.